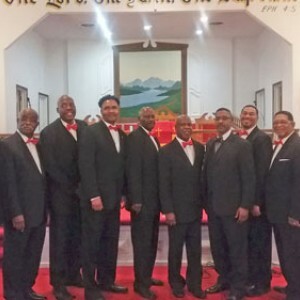 The Jerusalem Baptist Church Male Ensemble celebrated their 18th anniversary, Sunday March 25th, at 5 p.m. Deacon Al Taylor is the President. Reginald Floyd Esq. is the Pastor. Thank you to everyone who came and shared this day with us. Hartsville’s First Baptist Children’s Church Children are invited to come to FBC Children’s Church located 104 E. Home Ave. on Sunday mornings to practice becoming champions. Ages 4 years old-3rd grade (nursery/toddler room provided for ages 0-3 years).